Dental assistants have many skills they need to learn during their training. They learn very important skills such as taking x-rays and passing instruments. But they also have one other important dental assistant skill. Often ignored, the operatory light is a key part of the dental office. The operatory light is one of the most important tasks a dental assistant needs to master. They need to be able to control the light throughout the entire treatment. It can be compared to the lighting director during a play. Without proper lighting, no one would be able to see! As the doctor uses different instruments and drills during a procedure they will need an extra set of hands. A dental assistant that is well-trained will be able to control the light for the dentists every move. 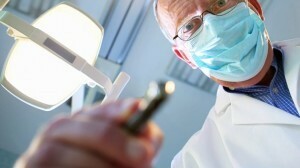 They will respond by immediately reaching up to adjust the light above for the best view of the patients mouth. The lighting must be adjusted through the entire procedure. If the patient’s head is moved slightly the light will also need to be move. A well trained assistant will use their dental assistant skill to follow the doctors actions. They will be ready to make any adjustments to the light or instruments as needed.